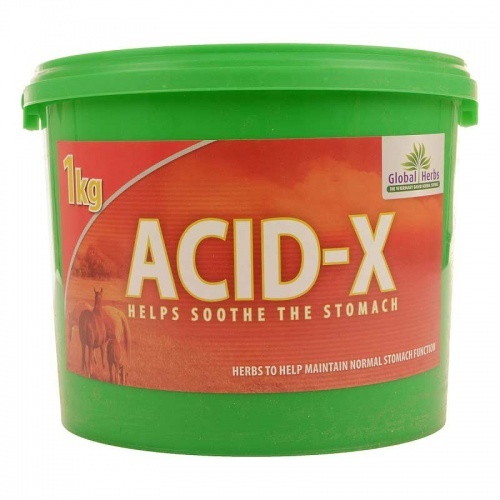 Acid-X stomach soother from Global Herbs has been formulated to help horses cope with the modern diet of cereals and concentrates. All horses on high grain diets should use Acid-X at maintenance level. Many behavioural problems have been found to be directly related to stomach issues. Ingredients include Pig Weed, Amla Berry and Liquorice.